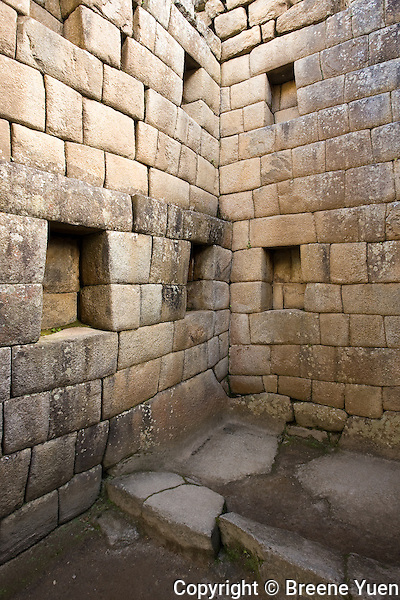 The remains of a home in Machu Picchu. That is a bed area in the corner floor area. Note the trapezoid shaped cubby-holes.